This is the one and only time you'll ever hear me geek out. I obsessively watch YouTube videos on 3D printing. I swear this is the stuff of sci fi tv shows from the 60's. I mentioned my love for 3D printers in my Apocalypse Shopping Haul, that's how cool I think they are. Lately I've been obsessively looking at jewelry online. The difference now is that I've entered a phase in my jewelry obsession where I'm no longer into cocktail rings, big baubles, and glitter. This is very unlike me, but now I'm loving the clean lines in geometric-inspired accessories. We recently received a forum question from a lovely chick who had some issues with her work wardrobe. Member Tigerlily was wondering what pieces she should be investing in to add to her closet. It was quite a conundrum and we thought what better way to help Tigerlily solve this issue than with an article! In case you are/were living under a rock, the world was in a tizzy last week because we all thought everything was about to end. Like. Forever. Yup, that's right. It was supposed to be the end of days according to the Mayan calender. However, (and you should know this because you are reading this right now) we survived! Hurray! What's the cutest, funnest and easiest way to spice up a LBD during the winter season? Tights, my friends. I've recently become obsessed with building a collection of fabulous hosiery. Whether they're patterned, coloured or have some crazy print happening, they've become my go-to for spicing up something ordinary. A homemade gift is always better, isn't it? There's so much time, thought and effort put into them. It's wonderful to know that someone loves you that much! 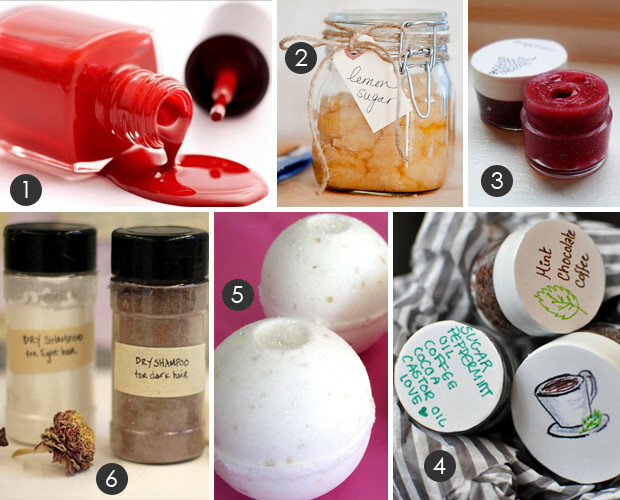 But coming up with good DIY gifts can be a bit tricky, so we rounded up a whole whack of fabulous homemade options for the ones on your list. So apparently, diamonds are a girl's best friend? Well, no offence diamonds, but what about all the colourful eye candy that's out there? Diamonds are pretty and all, but I don't know if there is anything more fun than picking up a fabulous piece of costume jewelry. We Love Fridays Staff Edition: What's on our wish list? The holidays are a time to give. Giving to others yes, but also giving to yourself. You've worked hard all year, you deserve it! So, every year, I make sure to give myself a little something. Even if it's just the gift of spending the afternoon in my PJs watching Christmas themed movies. Of course, if money were no option, I think I'd aim a little higher.